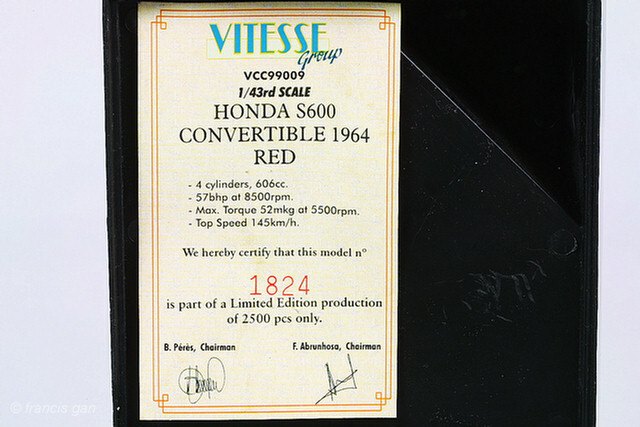 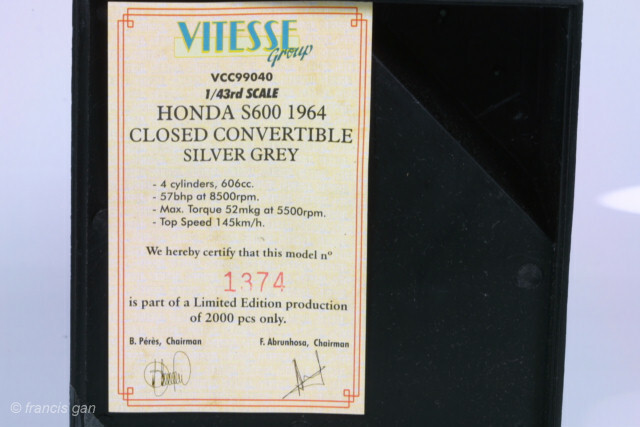 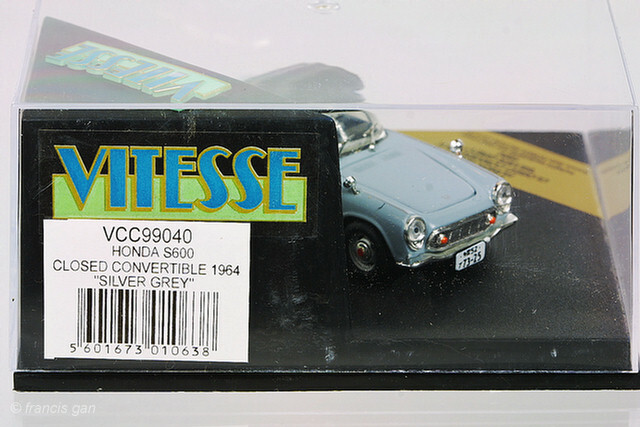 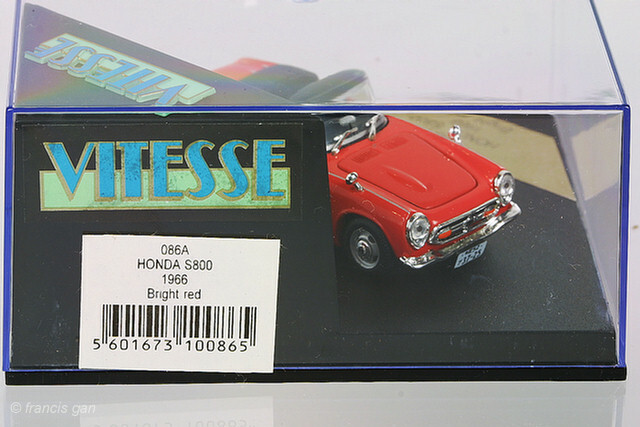 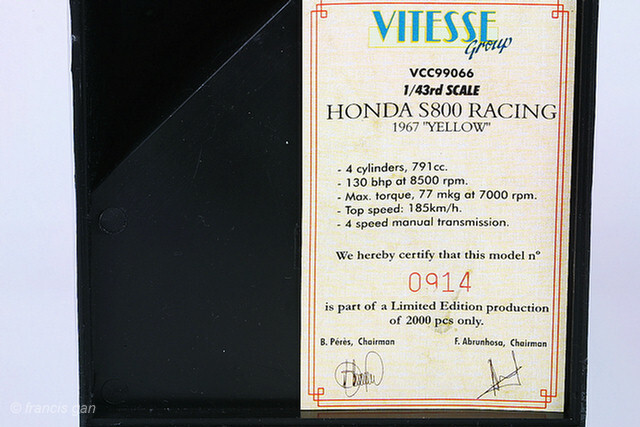 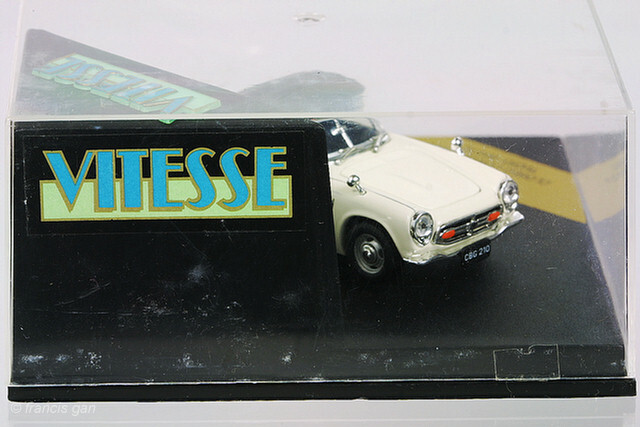 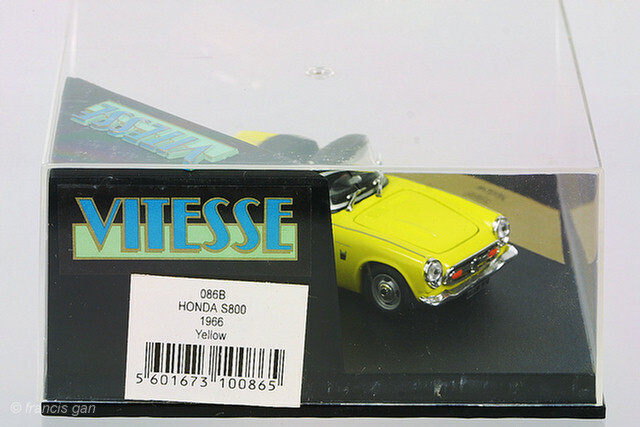 Vitesse had a number of variations of the S800 including versions with the top up, with hardtops and in LHD and RHD - as well as with a rear luggage rack accessory. 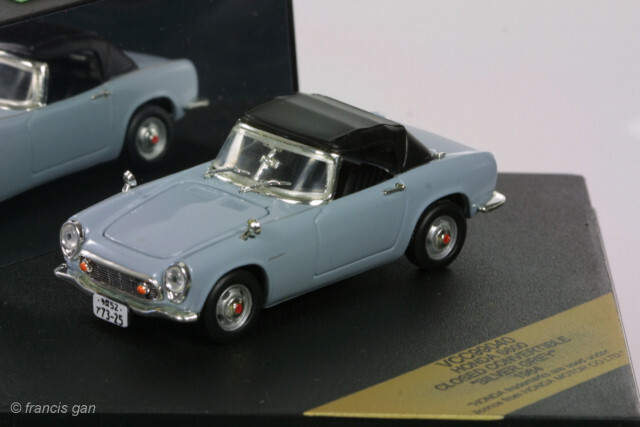 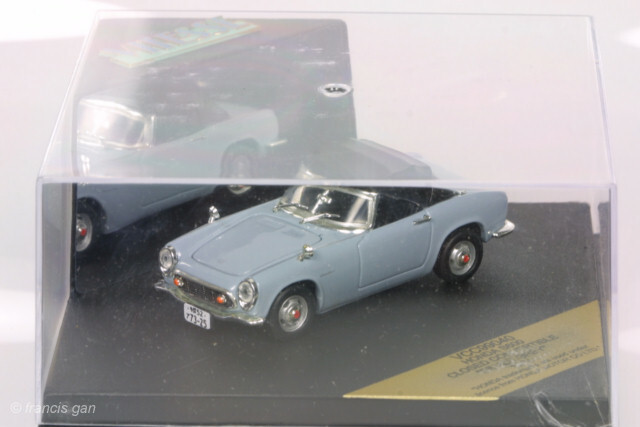 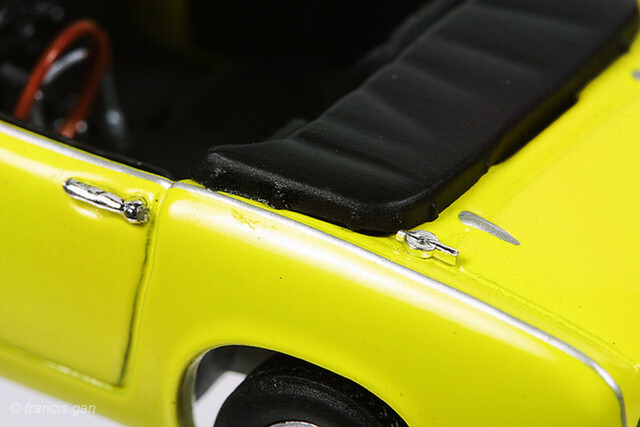 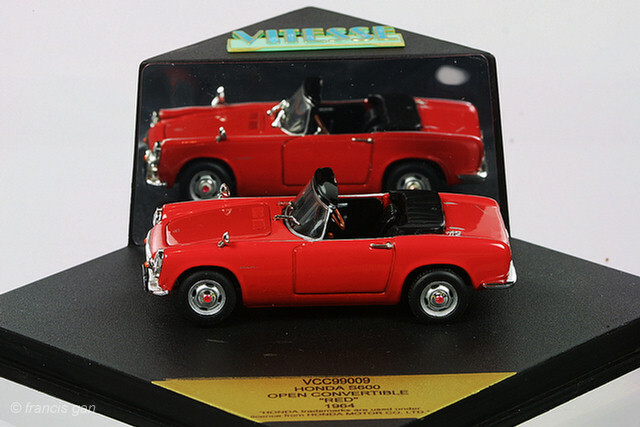 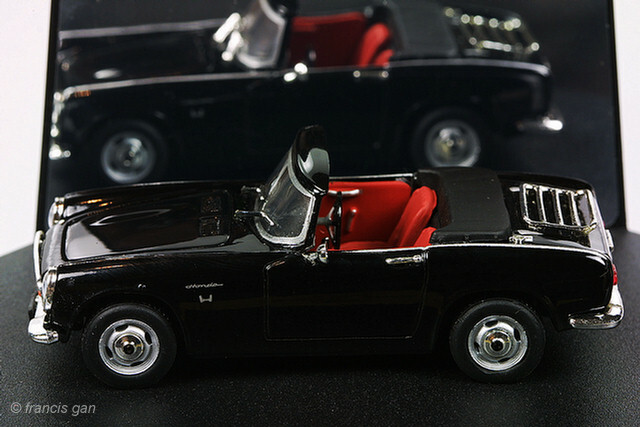 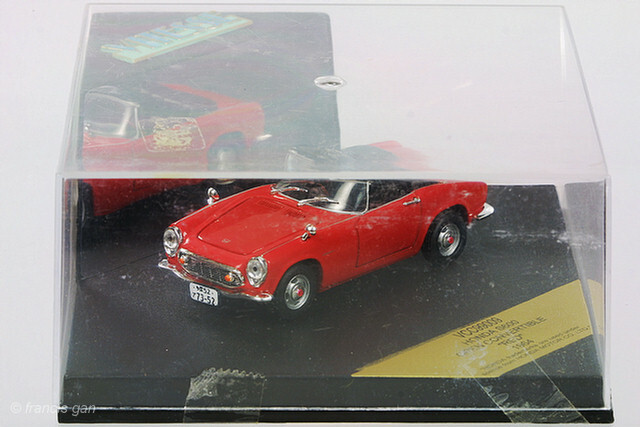 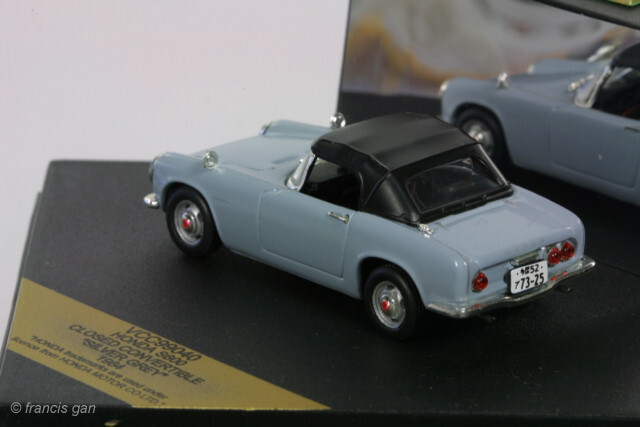 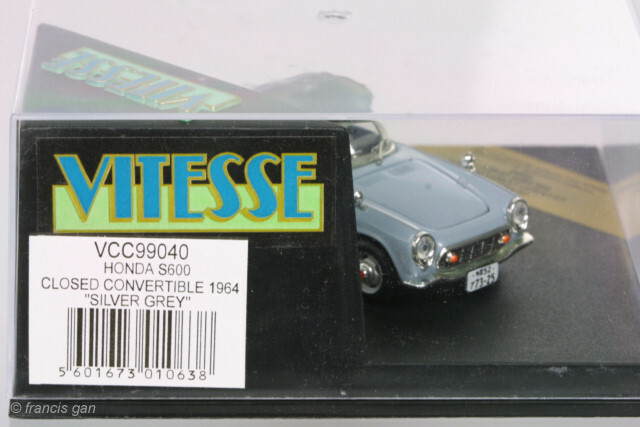 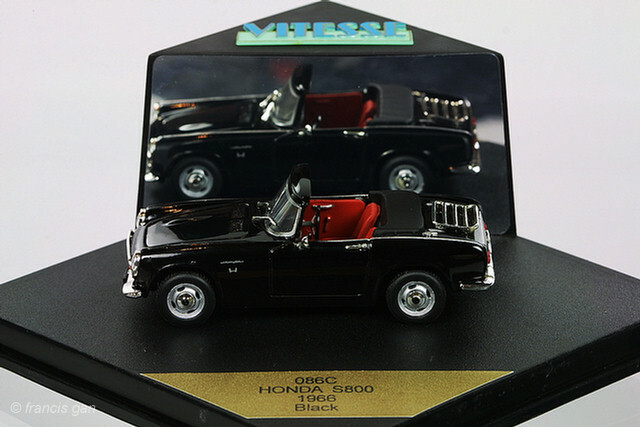 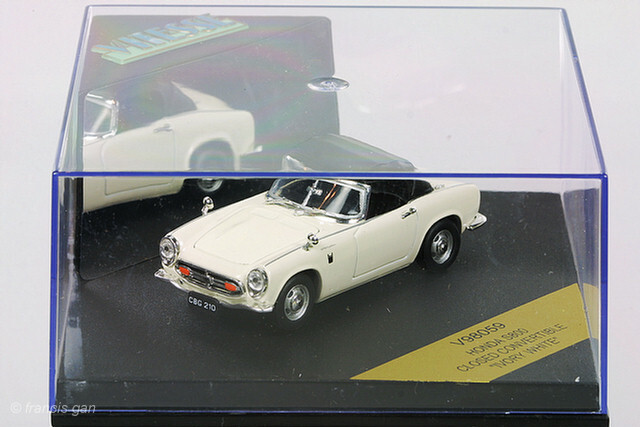 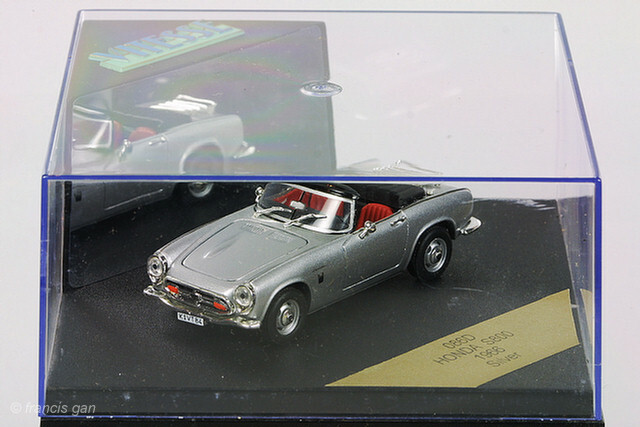 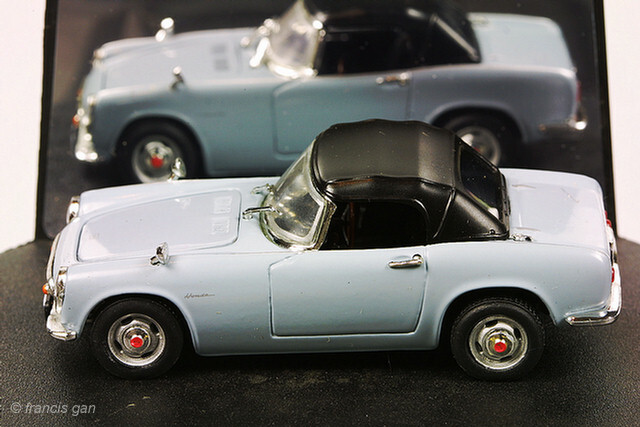 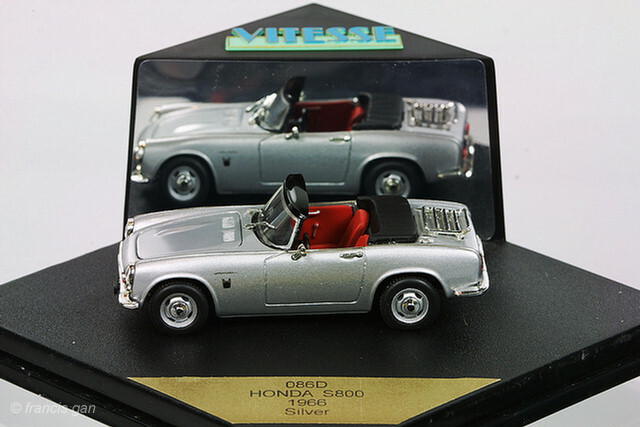 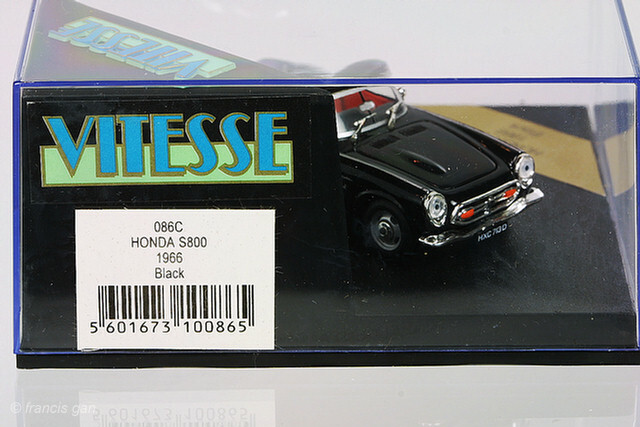 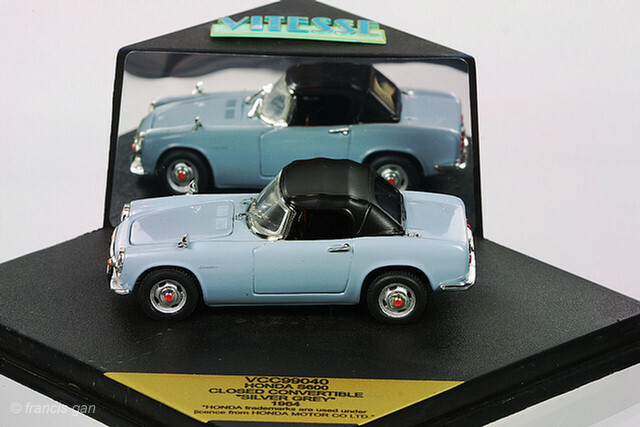 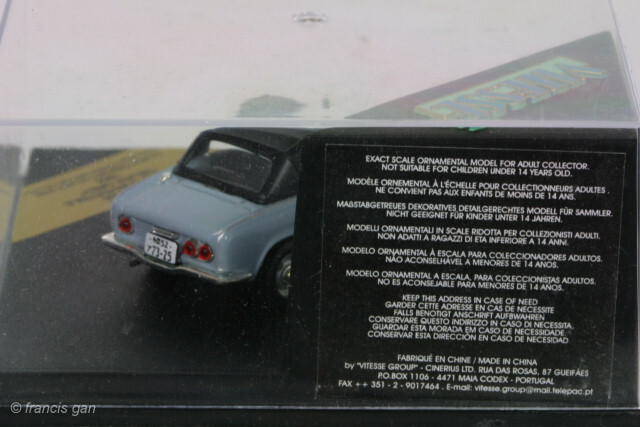 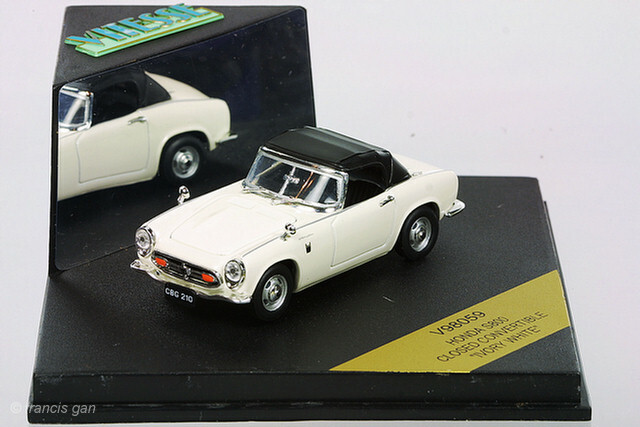 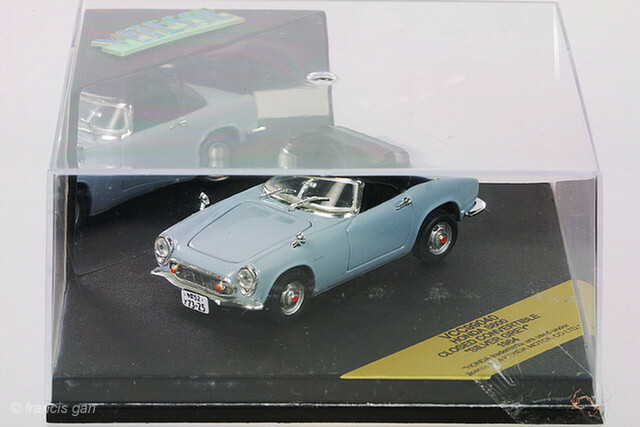 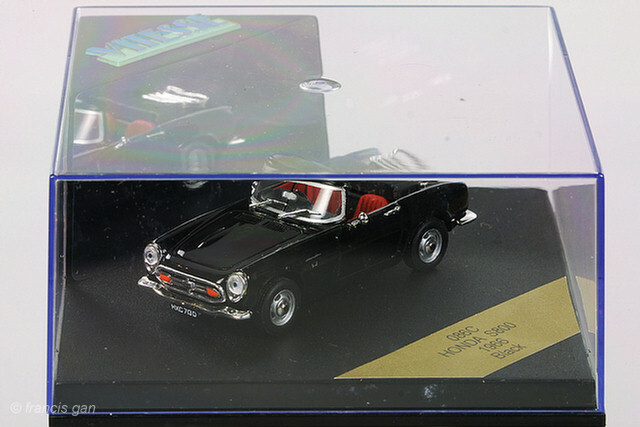 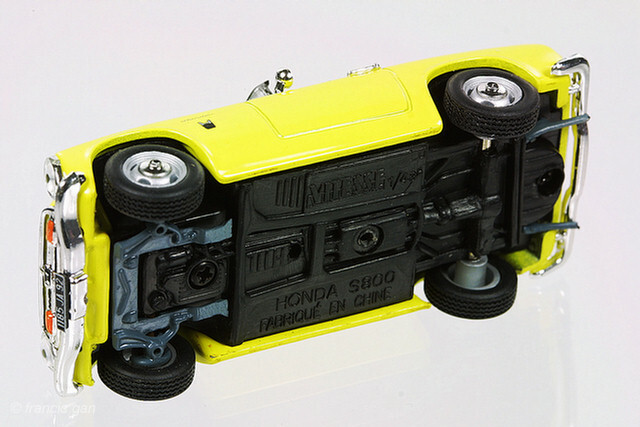 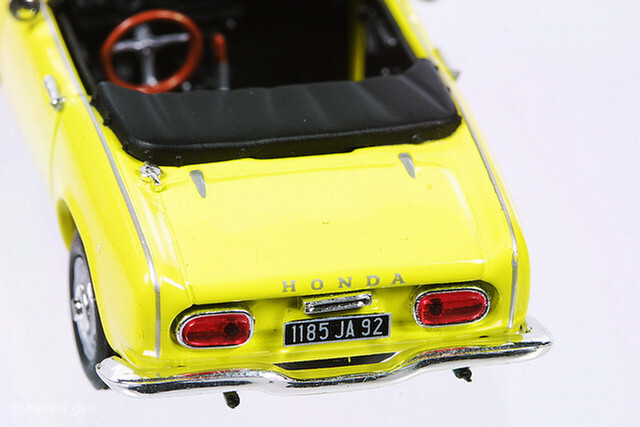 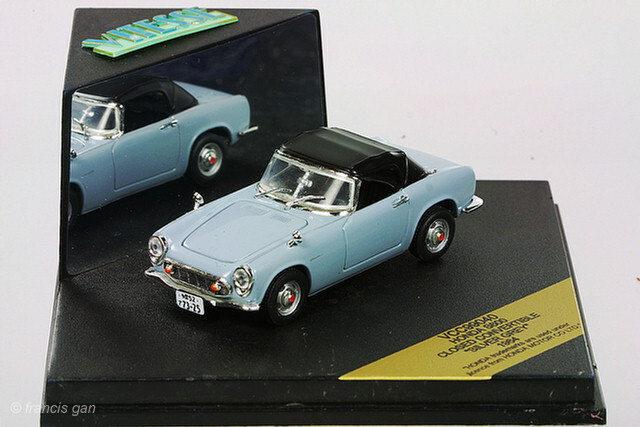 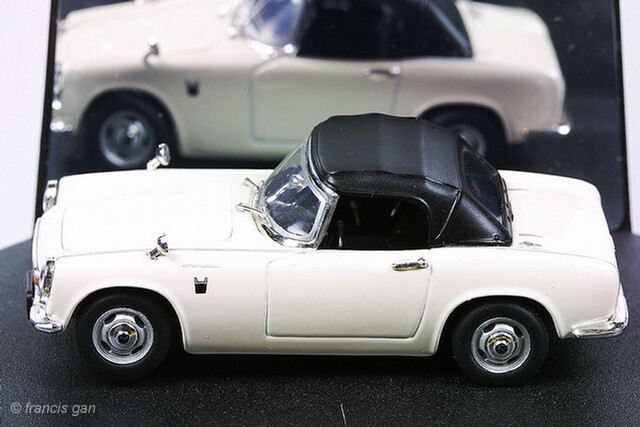 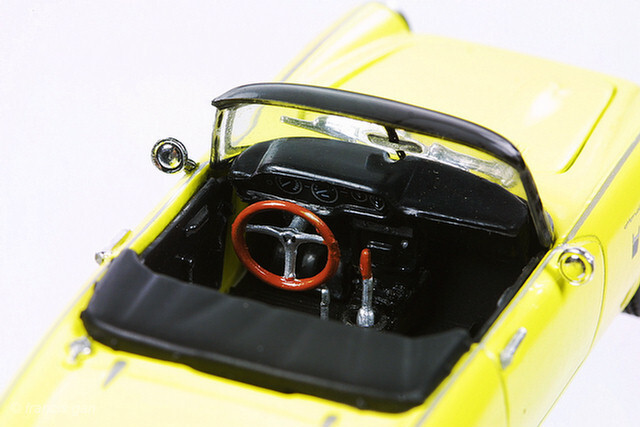 In all cases, there are no options and nothing is removable - the models come as configured unlike the Ebbro ones that give you the option of a top down, top up or hardtop optional configuration from the same box. 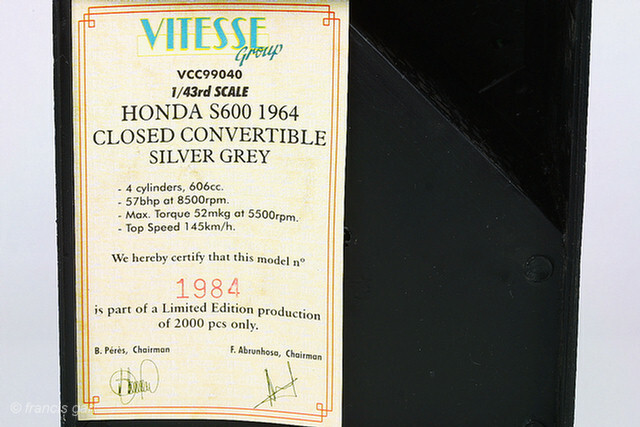 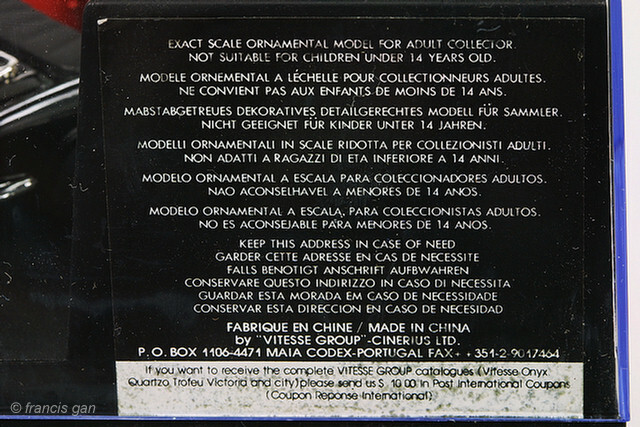 Some of the Vitesses came with Certificates of Authenticity. 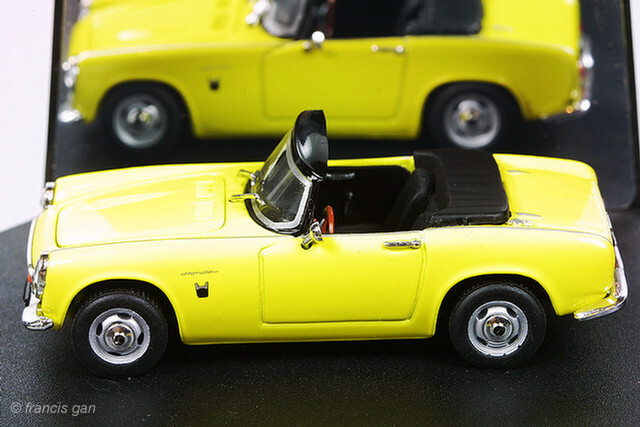 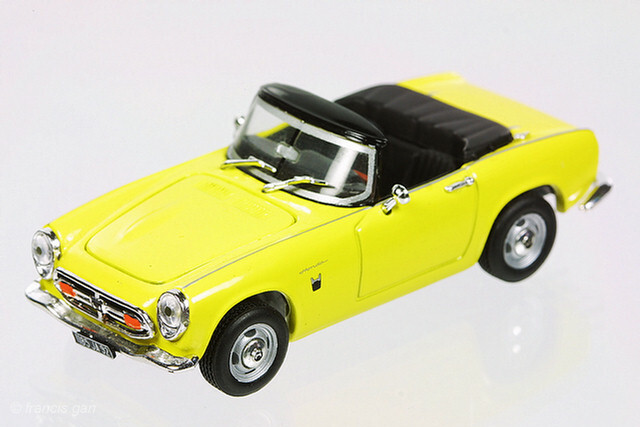 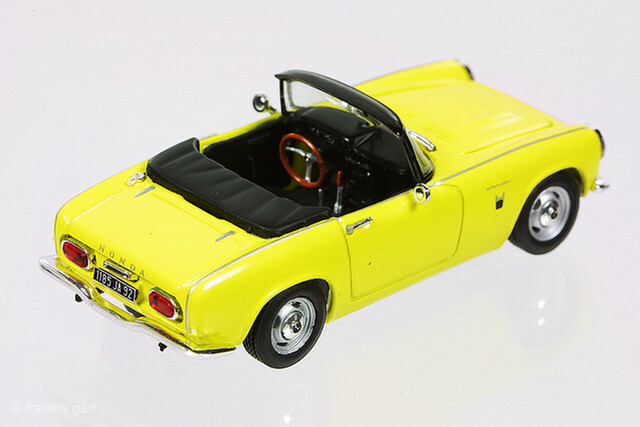 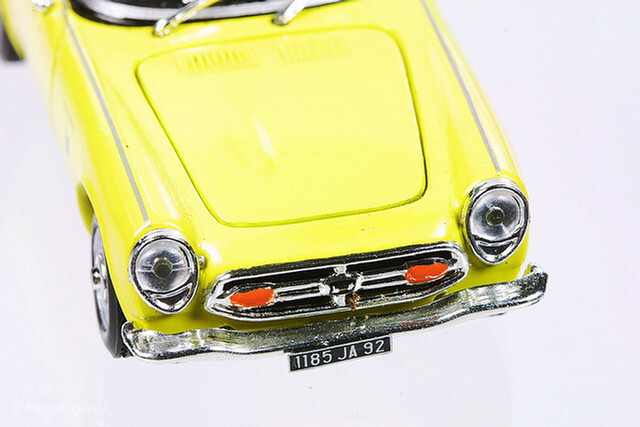 1966 Yellow S800 Roadster (086B) with top down. 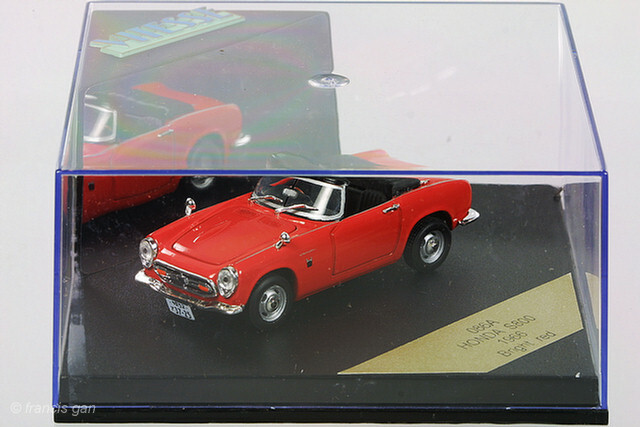 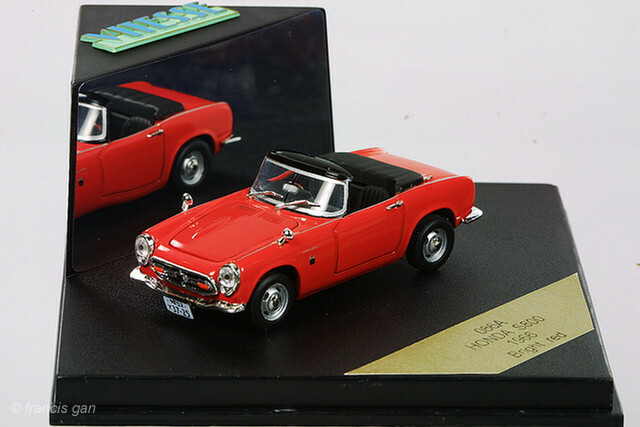 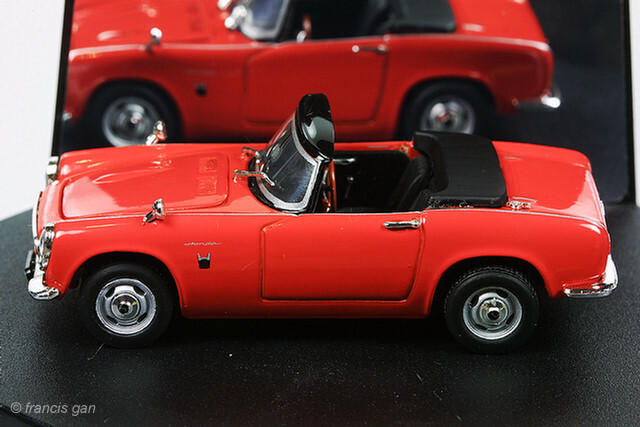 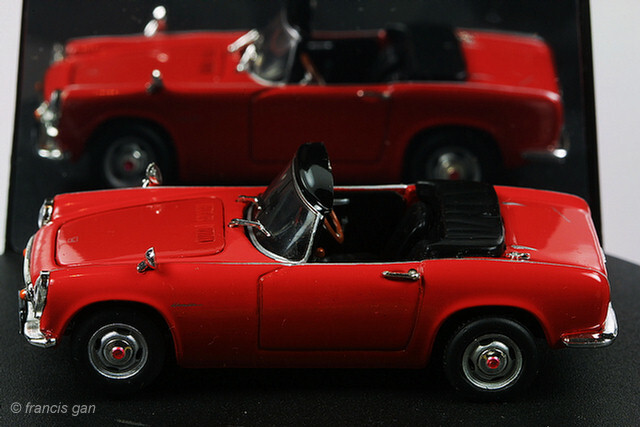 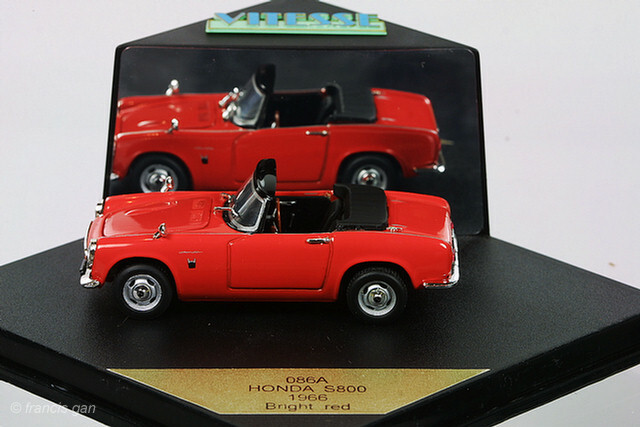 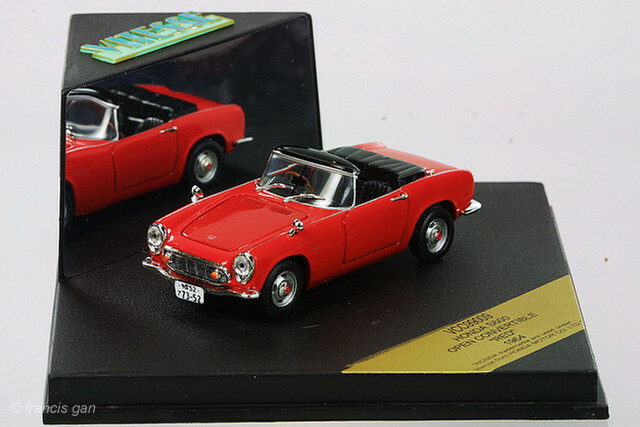 1966 Red S800 Roadster (086A) with top down. 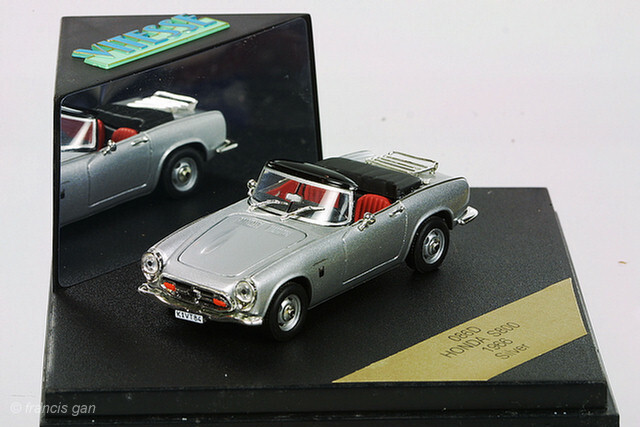 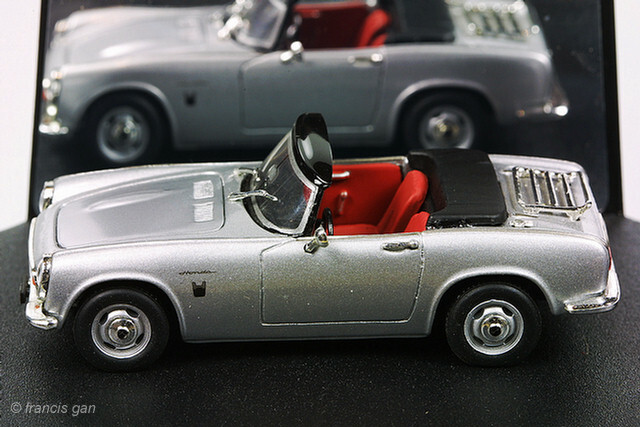 1966 Silver S800 Roadster (086D) with red interior and top down. 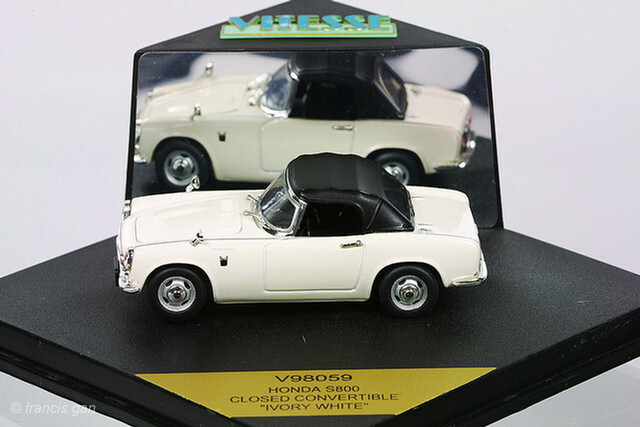 Ivory White S800 Roadster (V98059) with top up. 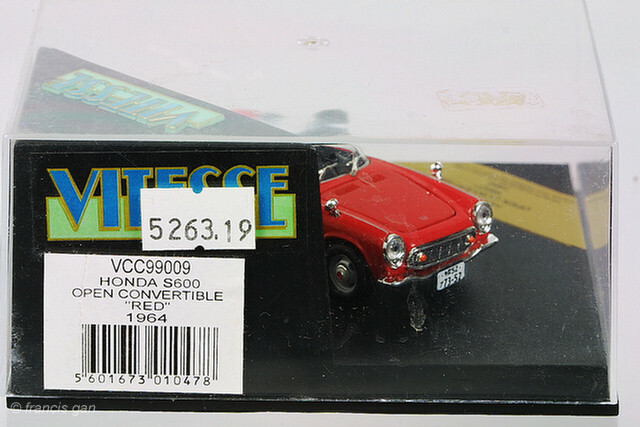 1964 Red S600 Roadster (VCC99009) with top up. 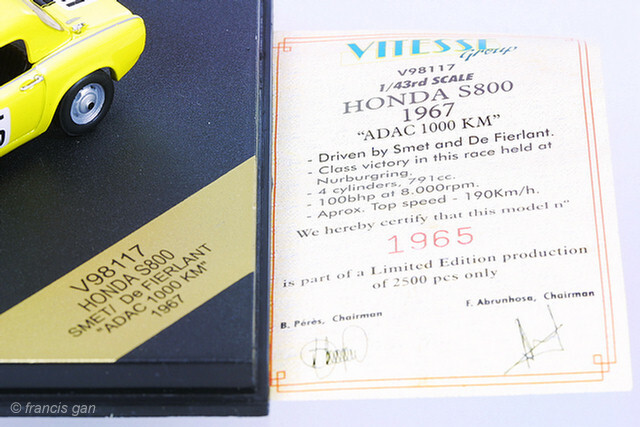 1967 Yellow SMET/De Fierlant "ADAC 1000km" S800 Racer (V98117) with hard top. 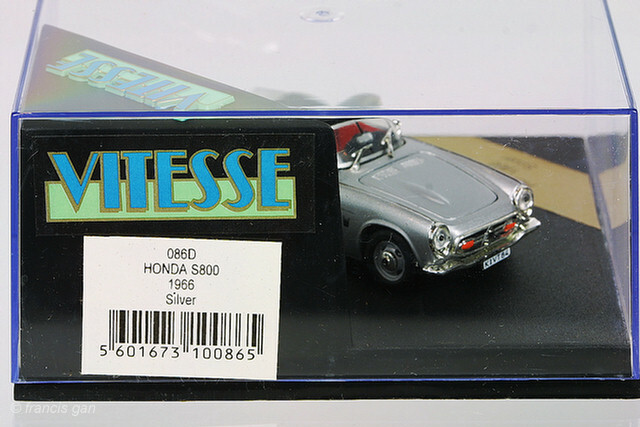 1964 Silver Grey S600 Roadster (VCC98040) with top up. 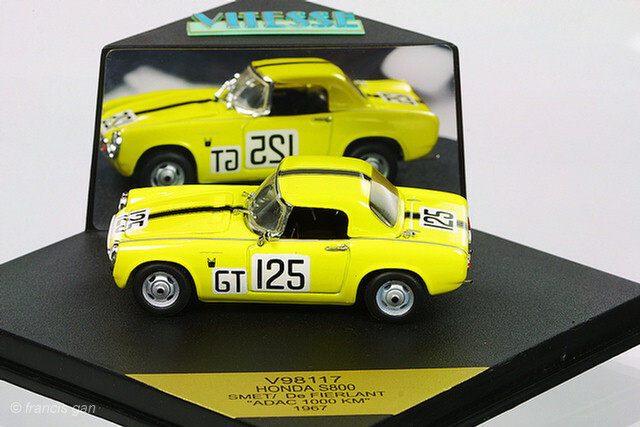 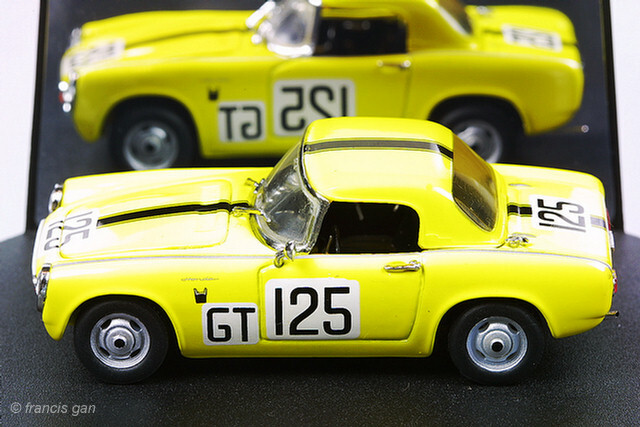 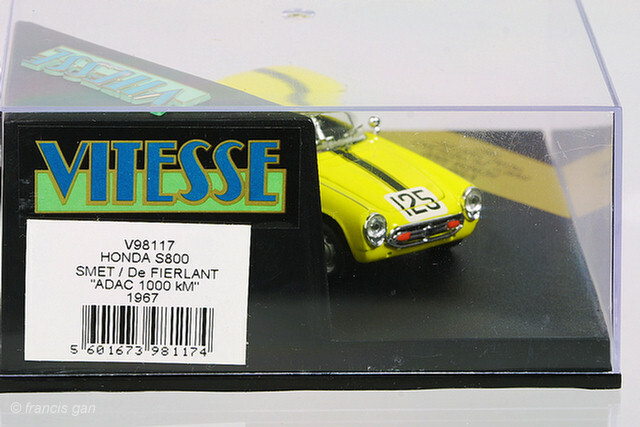 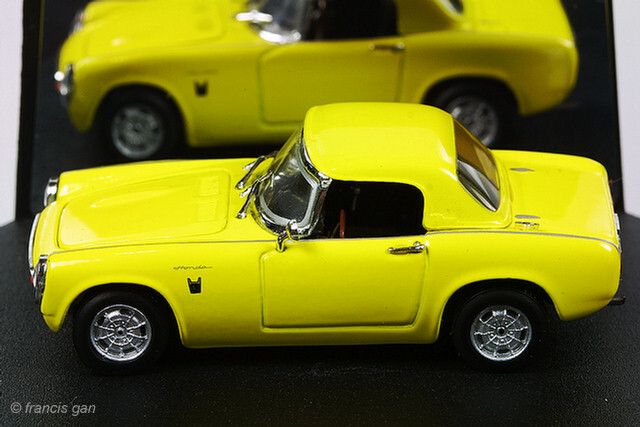 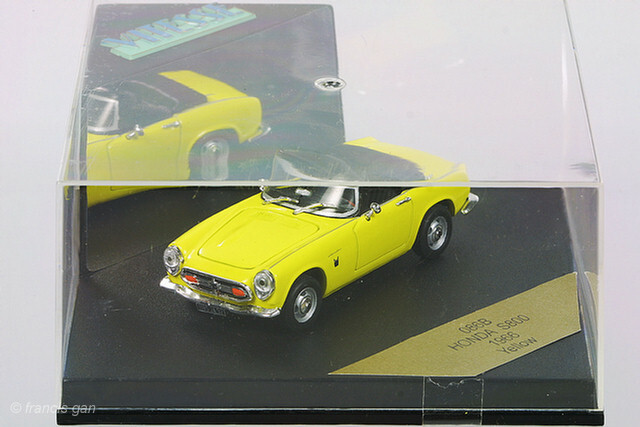 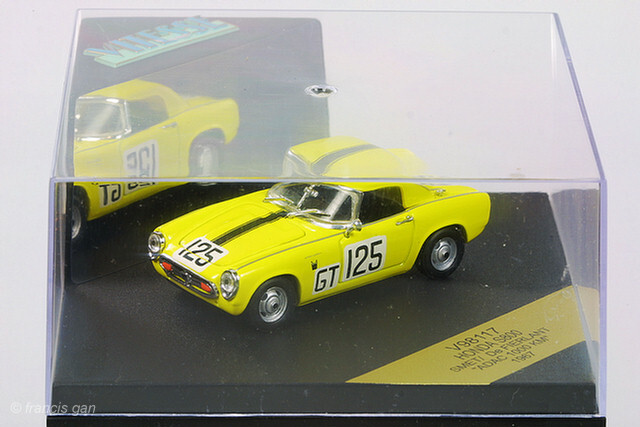 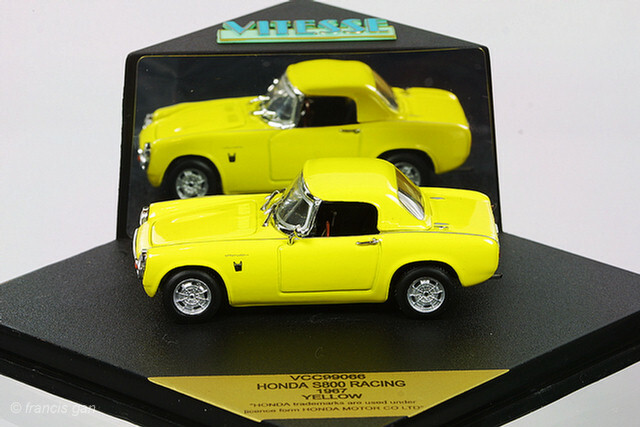 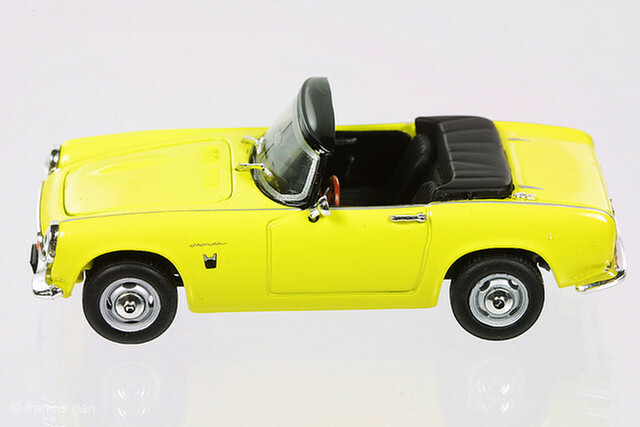 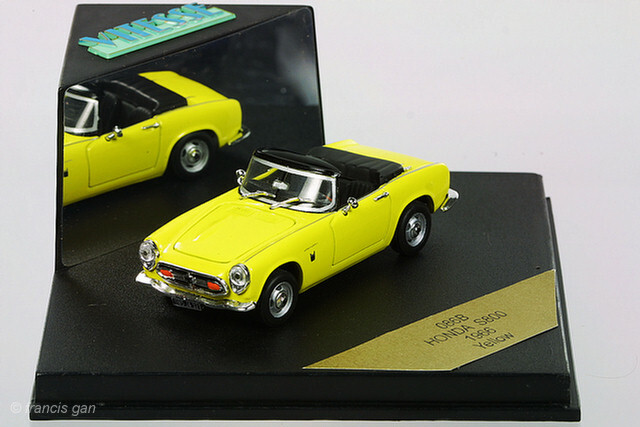 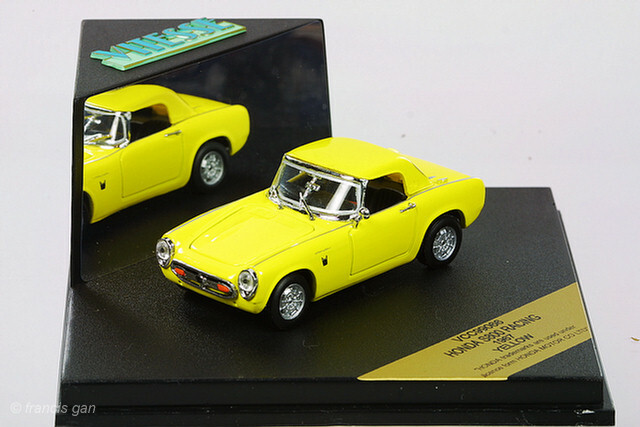 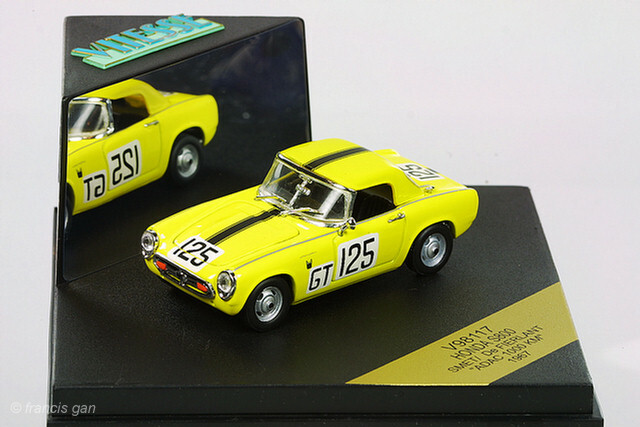 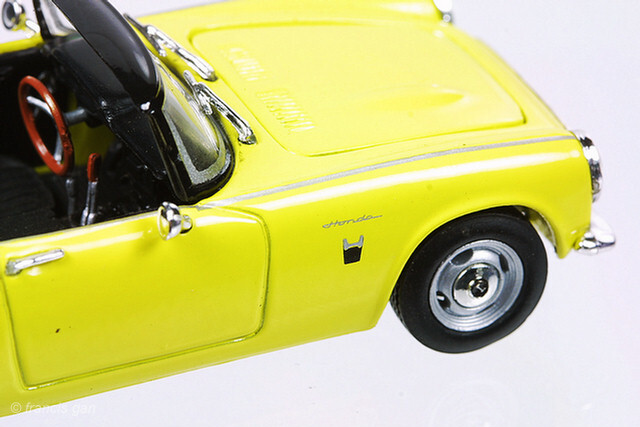 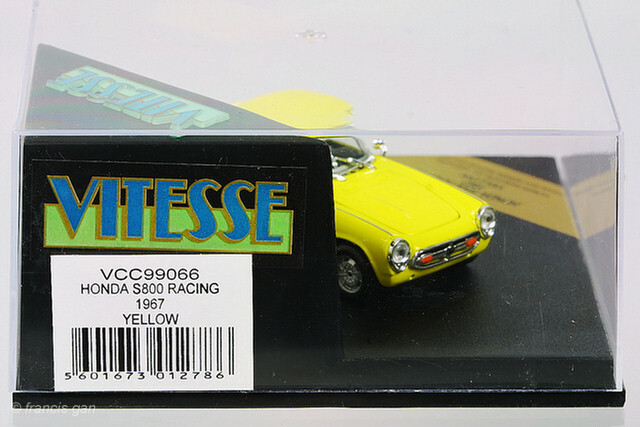 1967 Yellow S800 Racing (V99066) with hard top - limited edition of 2000.